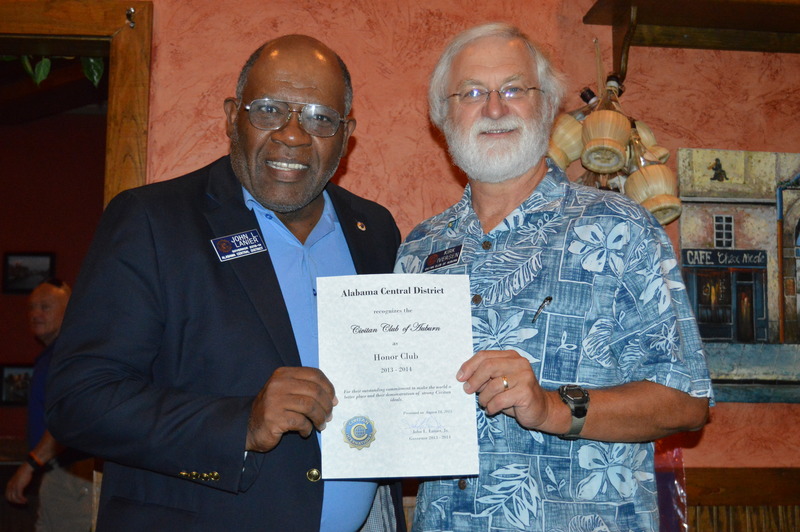 Alabama Central District Immediate Past President John Lanier presented several awards to the Auburn Civitan Club for accomplishments during the 2013-14 year. Kirk Iversen accepted the awards on behalf of 2013-14 President Dodie Gross. John also presented the Alabama Central District Distinguished President Award to Kirk Iversen.